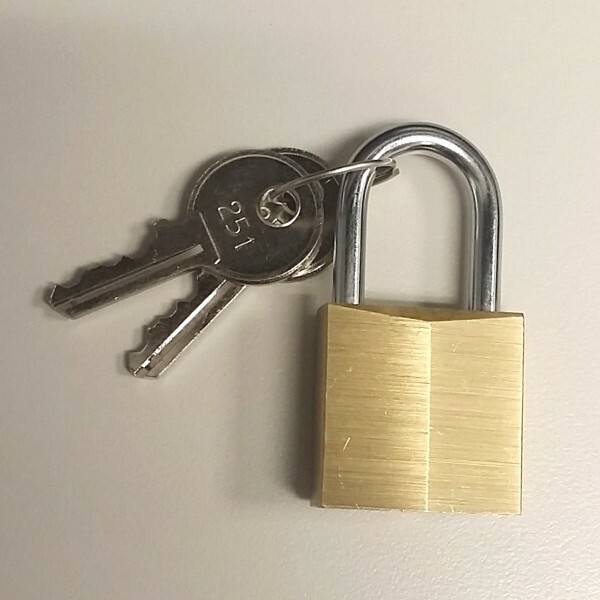 Mini Padlock 1 X 2"
Home > Hasps and Padlocks > Mini Padlock 1 X 2"
Mini padlock comes with 2 keys. Keyed alike. Lock features brush finish brass body with 0.16" diameter hardened steel shackle. Shackle clearance is 0.78".